Prove what you know basketball! Choose each week the best team to reach the top. Manages your lineup. Negotiates with your opponents to sign best players and win them. The preferred mode for all. Play with up 40 opponents signing the best basketball players in your team. The classic "fantasy" mode. Each participant can sign any player within budget. ¡Amplias configuraciones! Desde las más básicas, hasta crear tu campeonato completo. 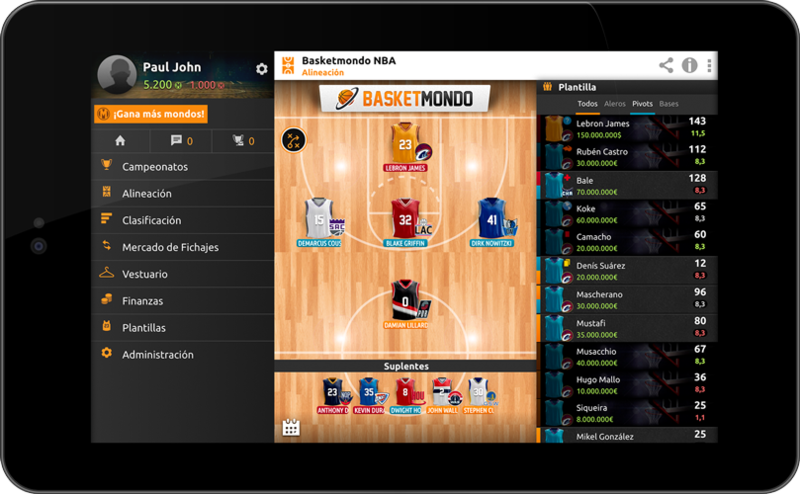 Basketmondo se adapta a las necesidades de cada usuario.